We at Zombies & Toys have prepared a treat for all of our readers this Halloween! Our own Chad Hunter compiled a downloadable ebook containing some of our favorite holiday recipes, amusing anecdotes, and interviews with some of the Zombies & Toys gang. 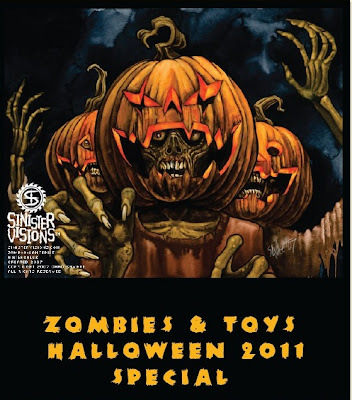 The Zombies & Toys Halloween 2011 Treat is available as a free download. We hope everyone enjoys what we have put together and we thank you all for your continued support. There is a "donate" button available on the download page and all contributions are appreciated. If you enjoy our treat and the content we provide you every day, please make a donation.